I went to get sushi for dinner, and saw this!! 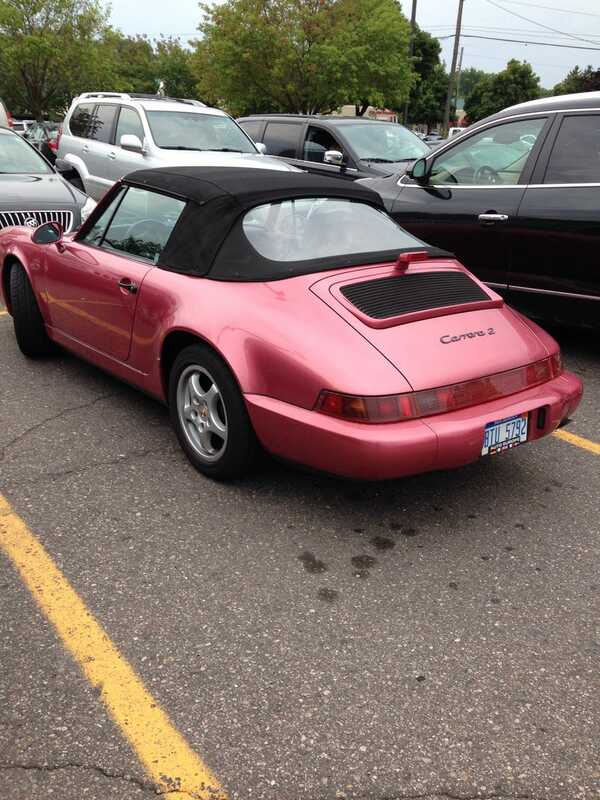 You're eyes do not deceive you; this is a Porsche 964 Cabriolet, in pink. It is driven by a guy, and yes it is a Manual!